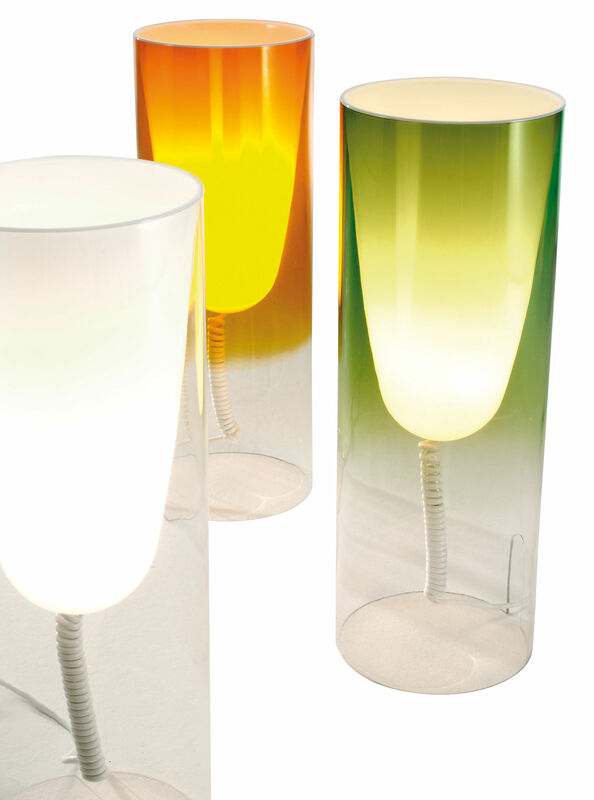 Toobe is a table lamp designed by Ferruccio Laviani. 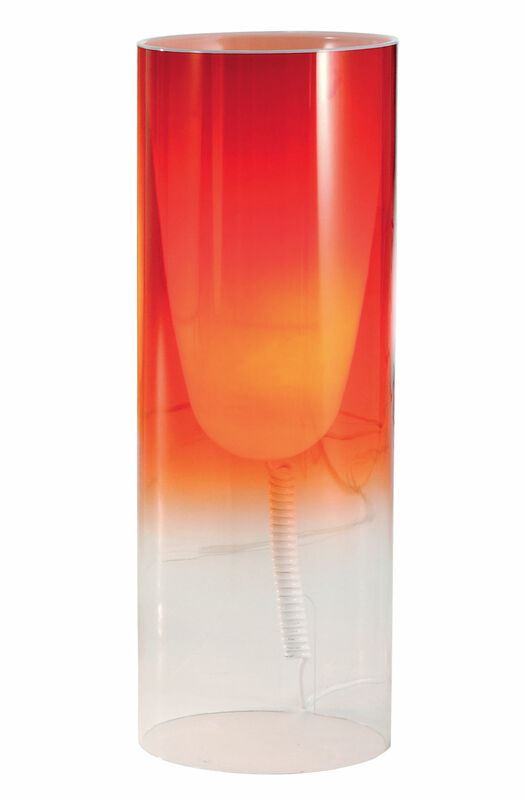 It was born with the idea to use an extruded PMMA pipe that could be used as a table lamp or a standing lamp depending on the length. 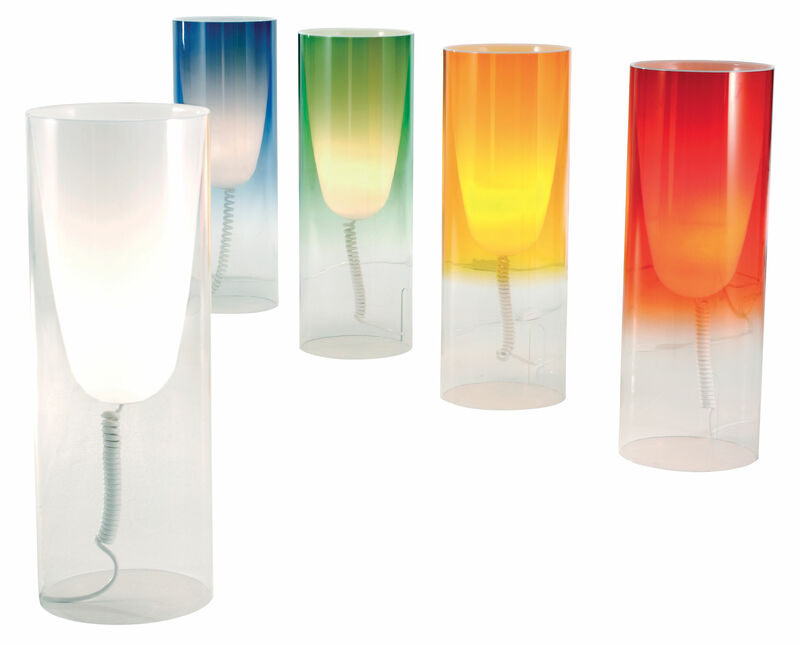 Thanks to the inventive color technology Tobee is the first product from Kartell that is "smoked", this gives the light inside the cylinder a special glow. De lines are very simple and modern. The handle that is cut out of the lamp makes the lamp functional and easy to move. Exists in crystal, blue, red, orange and green. Toobe is also available in floor lamp. Hi love the colorful Kartell. Suggest bright happy color for bathroom accessories like Toilet Roll despensers, toilet seat and covers. The mirror looks really happy in the mornings.